1 : 2300000 Colton, G.W. 1 : 2000880 Colton, G.W. 1 : 3300000 Tanner, Henry S.
1 : 2500000 Johnson, A.J. 1 : 2355000 Hammond, C.S. 1 : 1140480 Thompson, R.A.
Large Scale County and Railroad Map Of Texas. 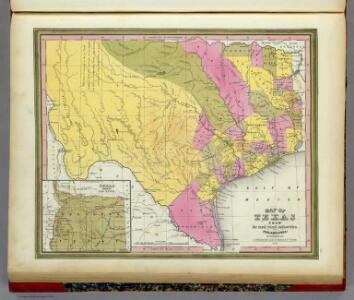 Rand McNally ... Railroad And County Map Of Texas.